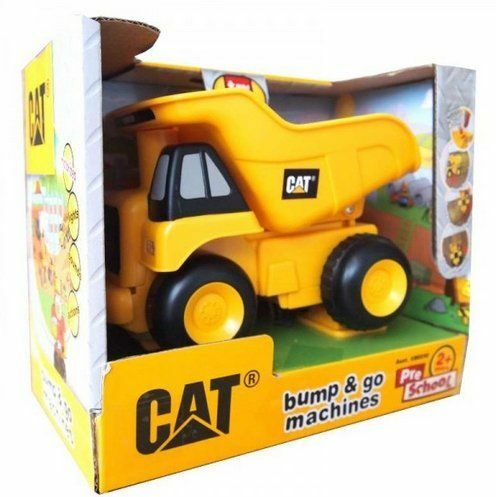 CAT Bump & Go Machines Dump Truck Your junior construction worker will love this bright-yellow and black motorized dump truck! It comes with realistic construction sounds and lights. Press to start & stop...drives forward...bumps and backs away...drives off again!